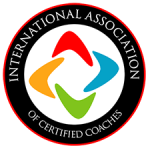 LCTI Graduates 61 Coaches from 13 Countries in November 2018! Life Coach Training Institute continues to be the largest life coach training and certification program in North America and the #1 Life Coach Certification Online Program. To the Graduates of November 2018, congratulations and thank you so much for entrusting us with this part of your journey. You are world changers! The lives you’re about to impact – because of your bold decision to pursue your passion and calling – will, in turn, change the world. LCTI Graduates 50 Coaches from 12 Countries in September 2017! LCTI Graduates 72 Coaches from 13 Countries in February 2018! LCTI Graduates 52 Coaches from 12 Countries in May 2018! LCTI Graduates 54 Coaches from 14 Countries in December 2018! LCTI Graduates 52 Coaches from 11 Countries in March 2019! LCTI Graduates 57 Coaches from 15 Countries in August 2017! LCTI Graduates 55 Coaches from 11 Countries in March 2018! LCTI Graduates 61 Coaches from 13 Countries in January 2019!